Re: Announcing a two day successive meeting for Executive leaders of AUSC President's Office. The office of the President of AUSC would like to announce a two day successive meeting for Executive leaders of AUSC President's Office. The meeting will cover the date of 27th and 28th, February, 2017. The starting time is from 12h00 to 14h00, at Kigali City Market, Bar and Restaurant, the last Floor. 1.Writing AUSC Presidency' s Executive Committee Board Meeting Resolution document to be Notarized for Opening the 1st and all AUSC International Official Bank Accounts in ECOBANK "The Pan-African Bank " and other Banks and its associated sub accounts across the whole continent of Africa and in African Diaspora wherever AUSC has its Chapters and Clubs. 2. Deciding 1principal Signatory and 2 associate signatories of AUSC International Account supported by the AUSC Notarized Constitution. 3. Preparing the World Kidney Day celebration campaign for the 2nd time in Rwanda from March 6th, to March 13th, 2017. 4. Preparing the Delegation to participate in the Trevo-Rwanda Conference at Kigali Convention Center on March 9th, 2017. 5.Preparing activities for the Official Launching of African Union Students' Council (AUSC) Financial Development Projects that compose the AUSC International Action Plan 2016-2019 : African Students' International Development Fund (ASIDF), African Students' International Development Bank (ASIDB), African Students' International Critical Thinkers Board (ASICTB), African Students' International Newsletters and Media Board (ASINMB), 1st All Afrikana First Youth Congress 2017 (1st AAFYC 2017) , International African Students' Education Loans Board (IASELB) activities to be implemented from March 30th, 2017 to December 31st, 2017. NB: Other AUSC leaders who are not in executive committee of the AUSC President's Office can as well attend this meeting. Thank You For excellent Attention to this Meeting. 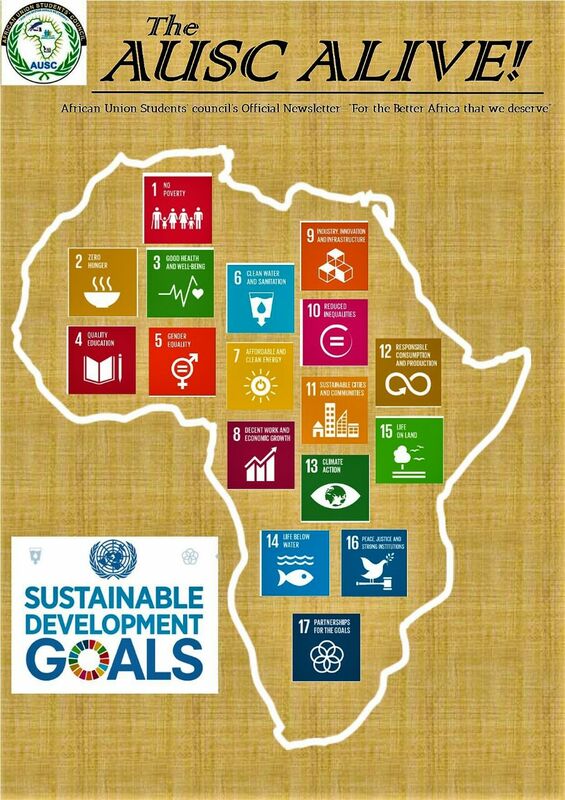 President of African Union Students' Council (AUSC) "For The Better Africa We Deserve ". 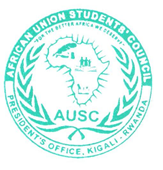 The AUSC Executive committee board meeting was invited by the President of AUSC from February 26th , 2017 and has started from February 27th continued to February 28th, 2017 every day from 12h00 to 14h00 , and involved Mr IRAGUHA BANDORA Yves who has the Rwanda National ID Number: 1198980026136042 who is the Executive President of AUSC , Mr HABINEZA Eliezel who has the Rwanda National ID Number: 1198880194915217 who is the Executive Vice President of AUSC, Mr HATEGEKIMANA Emmanuel who has the Rwanda National ID Number: 1198880197993217 who is the Executive Treasurer of AUSC, Ms Bateta Mbabazi Henriette who has the Rwanda National ID Number: 1197470002217035 who is the Vice President of Conflict Resolution Committee of AUSC, and Mr NIYONSENGA Norbert who has the Rwanda National ID Number: 1199280003095073 who is the Executive Secretary of the AUSC. 1.Writing AUSC Presidency' s Executive Committee Board Meeting Resolution document to be Notarized for Opening the 1st AUSC International Official Bank Account in ECOBANK "The Pan-African Bank " and its associated sub accounts across the whole continent of Africa and in African Diaspora wherever AUSC has its Chapters and Clubs. 2.Deciding 1principal Signatory and 2 associate signatories of AUSC International Account supported by the AUSC Notarized Constitution. 4. Preparing the Delegation to participate in the Trevo-Rwanda Conference at Kigali Convention Center (KCC) on March 9th, 2017. 5. Preparing activities for the Official Launching of African Union Students' Council (AUSC) Financial Development Projects that compose the AUSC International Action Plan 2016-2019 : African Students' International Development Fund (ASIDF), African Students' International Development Bank (ASIDB), African Students' International Critical Thinkers Board (ASICTB), African Students' International Newsletters and Media Board (ASINMB), 1st All Afrikana First Youth Congress 2017 (1st AAFYC 2017) , International African Students' Education Loans Board (IASELB) activities to be implemented from March 30th , 2017 to December 31st , 2017. The executive committee has approved that all the points are important and must be put in action starting from today at the end of this meeting, with point number 1 confirmed by the AUSC Executive Committee Board meeting approved the official opening of the 1st AUSC International Bank Account in Rwanda and outside the country of Rwanda for other AUSC Bank Accounts and different associated Sub-Accounts that will be opened for AUSC Specific Projects mentioned on this agenda point number 5 and for all AUSC Chapters and Clubs as supported by the constitution of AUSC , to be opened in different Banks across African Countries and African Diaspora as needed. This above agreement allowed the AUSC Executive Committee to open the 1st AUSC International Bank Account in Rwanda in the ECOBANK “The Pan African Bank” and to keep opening different associated Sub-Accounts that will be opened for AUSC Specific Projects as mentioned on this agenda point number 5 and for all AUSC Clubs in Rwanda as supported by this AUSC Executive Committee meeting. 1. Mr IRAGUHA BANDORA Yves who has the Rwanda National ID Number: 1198980026136042 who is the Executive President of AUSC to become the Principal Signatory of the 1st and all AUSC National and International Bank Accounts. 2. Mr HABINEZA Eliezel who has the Rwanda National ID Number: 1198880194915217 who is the Executive Vice President of AUSC to become the two associate Signatories for the 1st and all AUSC National and International Bank Accounts. 3. Mr NIYONSENGA Norbert who has the Rwanda National ID Number: 1199280003095073who is the Executive Secretary of the AUSC to become the two associate Signatories for the 1st and all AUSC National and International Bank Accounts. The AUSC Executive Committee Board meeting closed its activities on 1st March, 2017 at 18h45’ Kigali-Rwanda Local Time and Notary of the government of Rwanda has followed the meeting for its main purpose.